Amazon.comThe trend in superheroes of the late 1980s was dark, grim, gritty, and not very kid friendly. Then along came the animated Batman series. The visual style was totally unique: clean, sharp, and bold. 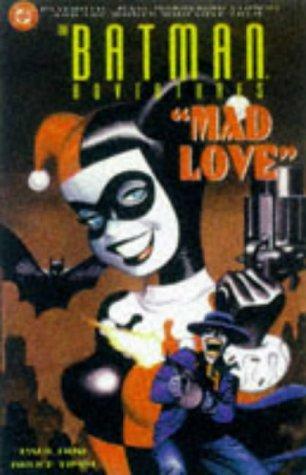 Batman Adventures: Mad Love is an original comics story drawn in the style of the popular animated series. It's even put together by Paul Dini, a major force behind the animated show. This particular story involves Batman's old foe, the Joker, and Joker's cute but deadly sidekick, Harley Quinn. Actor Mark Hamill of Star Wars fame, who plays the voice of the Joker in the animated series, claims that this is one of his all-time favorite comics, calling it "bold, lusty, gleefully demented."